One of the best and most cost effective ways of decorating your kid's room is by painting it. It not only gives lots of pleasure but also helps to create a colorful environment for your child to help her learn and grow. Let your imagination and creativity flow while painting your kid's room. Do not bother about whether it matches with the rest of the house or not. 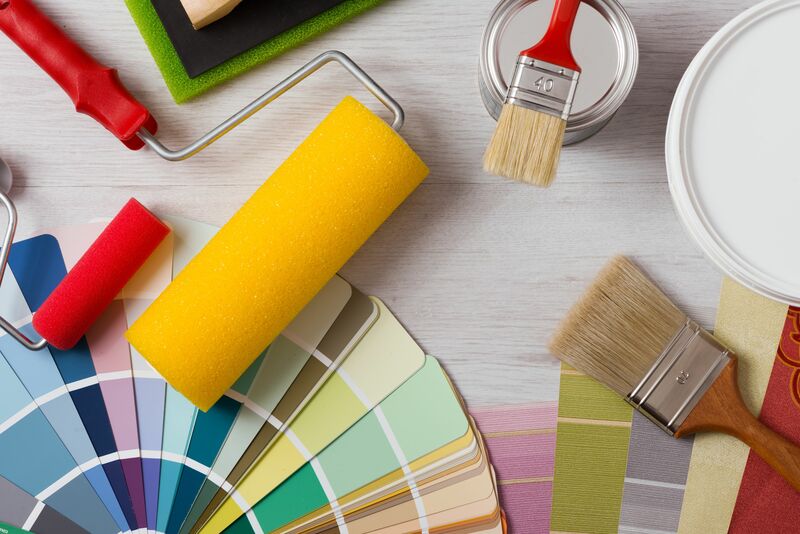 You don't even need a painting contractor or painting services. you can do it yourself. Here are a few ideas that you can use to paint your child's room. Children have their own favorite characters, interests and fantasies. Based on your child's interests, you can decorate her room and make it come alive. You can paint the room with Tom and Jerry or Batman figures or go for a Harry Potter scheme, just to name a few. Just surf the net to find the decorating accessories required to give it the perfect look. Some other themes could be a transport one, where you can paint cars, buses, trains or a jungle animals theme. Another one is a star theme, in which you can paint the stars in silver and gold. An underwater or ocean theme is one where you can paint fishes and dolphins all over the walls. To choose the correct colors and combinations, begin by asking your child her favorite colors. Then work around those colors along with the various shades to paint your theme. While selecting the colors for your kid's room, begin with some important feature like curtains or bed linen. Remember that colors can affect our moods and children are more sensitive to the effects of color, particularly the bright ones. The right choice of colors would make them relax, learn and grow happily. A pink and white color combination for a garden or a bright red, white and yellow combination for a circus can be considered. This is one of the simplest and cheapest ways of decorating your kid's room. You can create a set by applying uniform paint to old inexpensive furniture. Add a personal touch to your child's room by painting her name and color with stencils on the various articles in her room. One way is to paint her chair and table in bold letters to add a creative look. While freehand mural painting may not be an easy task for everyone, it has been made easy by the use of stencils. They are available at most craft and home improvement stores. Think of wall murals also as an option. Of course, you could hire a painting contractor or professional painter, but why not try it yourself. get creative and liven up your princess' room!